A roadside vendor in Bosnia, hoping to attract passing drivers, offers goldfish for sale. 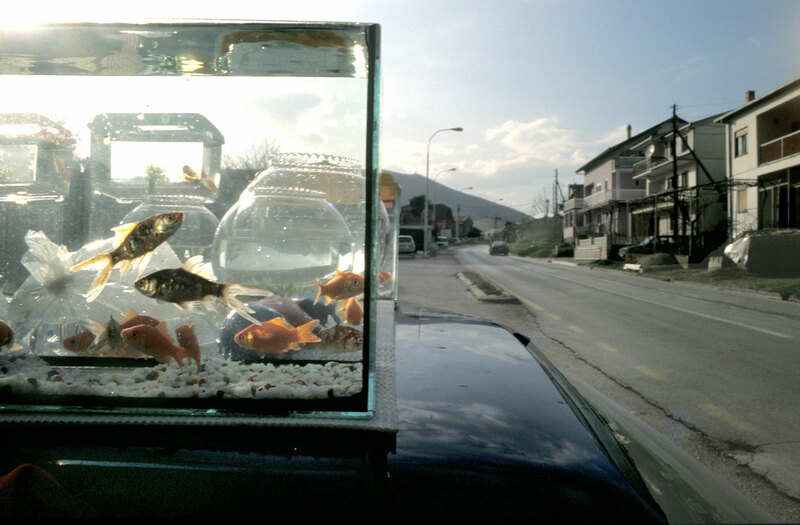 • What larger commentary could the photographer be offering by focusing on fish on the side of a road in Bosnia? • How does this photograph help to tell the larger story of war’s aftermath in Bosnia? • In the video that opens this section, Sara Terry notes that this image prompted her to ask, “What am I not seeing?” Why is this question critical as we view the images included in the Aftermath Project? What are we missing in media coverage of war and the aftermath of conflict?